Dog Bed - Placeboard SmallHunting Fishing Inc.
Frame of bend-proof, powder-coated, 18 gauge cold-formed steel! 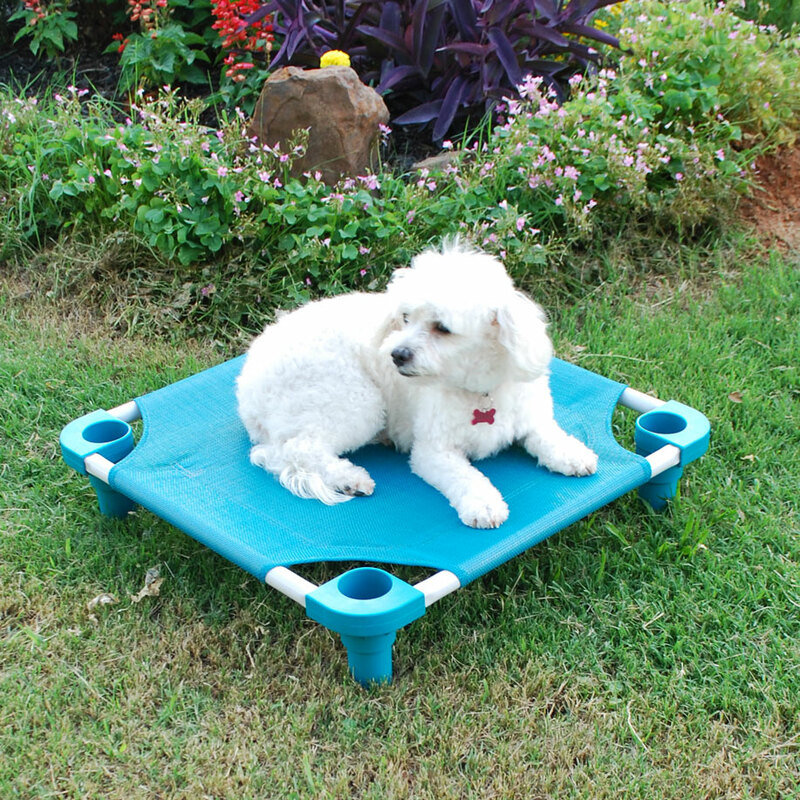 Sturdy enough for use with up to 80 lbs.! Cover is made of Texron; a non-sag, open weave, extremely durable fabric that meets the strict California fire code #117! Lace-up Cover can be tightened periodically if desired! No screws, nuts or other small parts! Frame and cover warranted for 10 years! Corners (legs) are made of high impact polypropylene plastic. Available in 10 different colors! So strong, we guarantee them for the life of the cot! Interstacks with most other brand plastic corner cots! Leg Diameter (Inside/Stacking) is 2�! Lightweight . . . Weighs only 7 lbs.! Stacks neatly for easy, safe storage! Frame and cover warranted for 10 years! Chewing not covered in warranty.